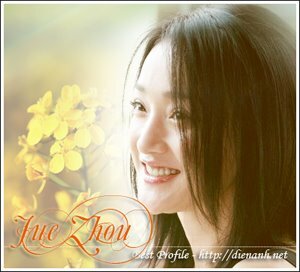 Zhou Xun: Perhaps Love Ratings ! Perhaps Love is a different kind of movie that had been made in recent times. It was thought to be a musical but later the director stressed it is not a musical, more like a love story because there was only 30% of music in the whole movie. Nevertheless, it is a good movie for everyone. She had played this role like she was actually Sun Na, she had brought out the essence of this character, especially through her eyes she had expressed a lot of feelings of Sun Na. Takeshi, himself has a feel of loneliness, the scenes that he was in with Zhou Xun, he seems to have a sense of lost and confusion, not giving his all to the role. This is more obvious when compared to Zhou Xun's brilliant performance, but when he was in the scenes by himself it was a totally different story, you could really feel for his character, this is the one and only Takeshi. His singing was just brilliant, when he sang the the main song "Perhaps Love", it gives you a feeling of being in a live musical theatre. Peter Chan had spend more thoughts on the image design of this character, but Jacky lacks a bit on his acting skills and the affectiousness to the audiences. However, the screenwriter had wriiten a good storyline for jacky's role which had helped, especially the ending. Chan said there could be many different endings, it all depends on the the individual.